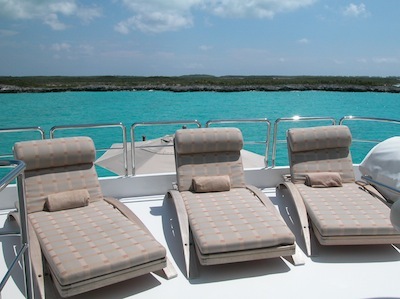 Yachts can go pretty much anywhere, but there are certain places in the world that are especially popular with yachts. These are the visas required most by international yacht crew. This visa is required by all non-US citizens who will be entering the USA for work reasons. It does not entitle the bearer to work in the USA. 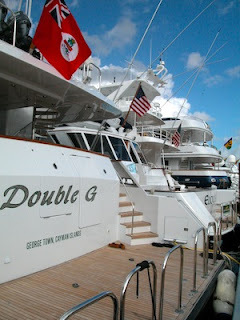 Yachts with non-US flags are able to employ non-US citizens whilst in US waters, as long as the crew have this visa. The C1-D visa is only granted to cruise ship crew. It does not apply to yacht crew. This visa is required by certain nationalities to enter Europe (NOT including the UK which is not part of the Schengen agreement and a visit requires separate visa) An application must be lodged to the EU country that you intend to arrive at first. Once you have arrived you are then able to travel freely within Europe. This visa allows certain nationalities to live and work in Australia for 12 months. If three months specified work is completed, a second working holiday visa can be applied for, allowing the bearer to remain in Australia for a further 12 months. Australian flagged yachts can only employ crew with the right to work in Australia. Australian tax must also be paid. Working holiday visas are also available to the bearers of certain passports for New Zealand and Canada. If you are just starting out in the yachting industry make sure before you apply for the relevant visas, that you have a good few years before your passport expires. Most countries require visitors to have a minimum of 6 months validity so, assuming you are planning to stick with a job for a while, avoid all the drama of having to replace your passport miles from home and without a reliable mailing address, and get a new passport before you go. For exact details on what YOU need in order to apply for these visas, please consult the embassy website for whichever country you are visiting.